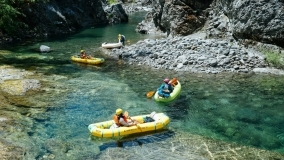 The guides and staff of Northwest Rafting Company are celebrating the 50th anniversary of the National Wild and Scenic Rivers Act by visiting all 58 of Oregon’s Wild and Scenic Rivers. You can follow their project and learn about the rivers they’ve been to on the project website. 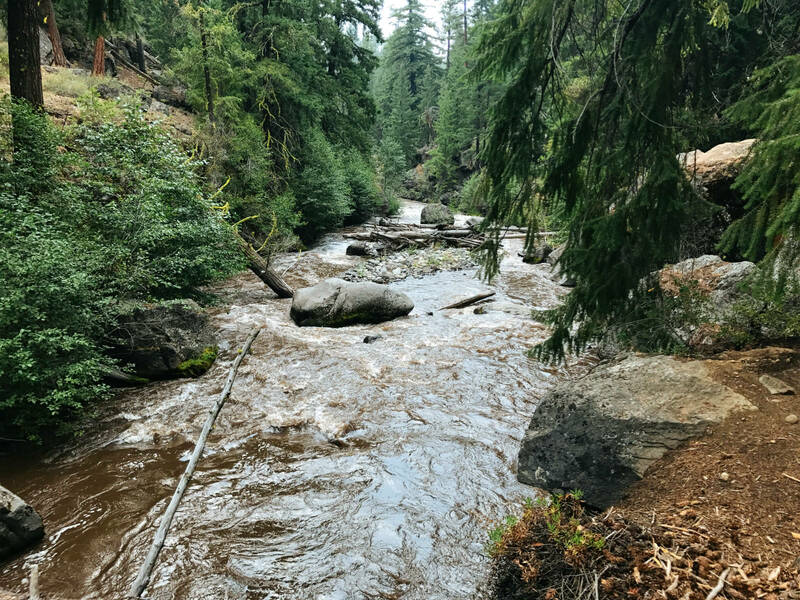 On top of that, they’ve recently started the Kalmiopsis Guides Association to help protect the rivers in that area—the Chetco, Illinois and North Smith. 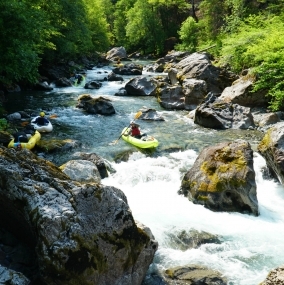 Having NW Rafting take-over Wild & Scenic Wednesdays for the month of November was a no-brainer. Wild & Scenic Wednesdays are just one way we’re celebrating the 50th Anniversary of the Wild & Scenic Rivers Act. Learn more about how you can celebrate the 50th Anniversary and help NRS, American Rivers, American Whitewater, OARS, Yeti, Chacos and REI fight for 5,000 more miles of designated Wild & Scenic rivers at 5000miles.org. 1. Whychus Creek is still listed in the Wild and Scenic Rivers Act as Squaw Creek. In 2005, the U.S. Board on Geographic Names approved the name change of Squaw Creek to Whychus Creek. 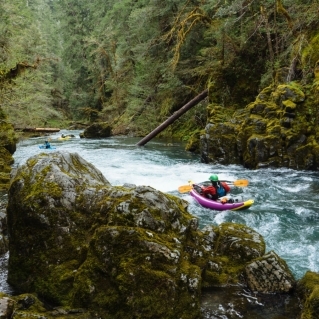 The Oregon Wildlands Act has been introduced to Congress by Senator Ron Wyden to officially change the name by amending the Wild and Scenic Rivers Act. 2. Whychus means “the place we cross the water.” The new name was chosen for the creek based on its strong historical and legal usage. 3. Usually, a Wild and Scenic designation protects only the main stem of a river, but the Whychus designation protects every small tributary stream within the Three Sisters Wilderness. On top of that, the Wild & Scenic Rivers Acts rarely protects lakes but Carver Lake, a glacial lake within the Whychus watershed, is also protected. 4. Whychus Creek is 41 miles long from its headwaters to its confluence with the Deschutes River near Crooked River Ranch. And due to its close proximity to Bend, Oregon, it’s a popular paddling destination with reliable water all summer. 5. Four miles of Whychus Creek flows through the Whychus Canyon Preserve, a 930 acre preserve featuring more than seven miles of hiking and a diverse range of flora and fauna. 1. 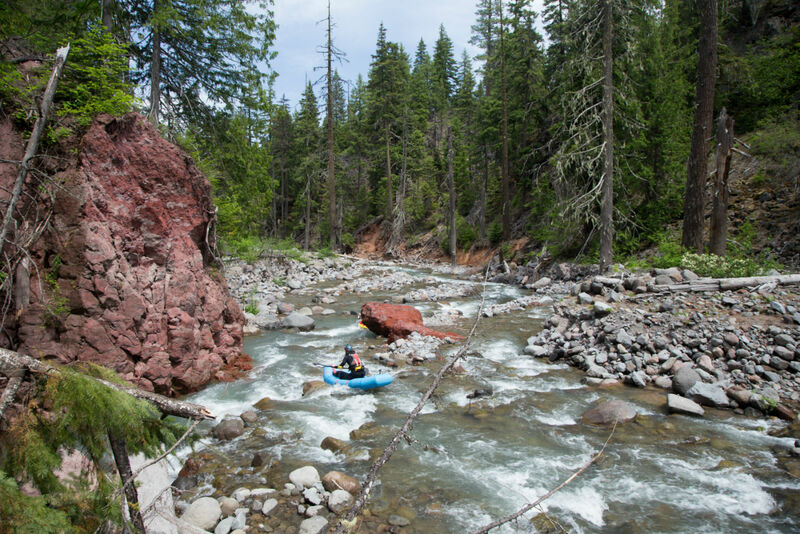 With its headwaters in the Kalmiopsis Wilderness, the Chetco River flows for 55.5 miles, with an impressive gradient as it descends from 3,700 feet to sea level. With the exception of the last five miles, the entire river is located within the Rogue River-Siskiyou National Forest and 44.5 miles of the Chetco River and its entire headwaters are protected within the Kalmiopsis Wilderness. 2. The Chetco is known for its pristine salmon, steelhead and cutthroat trout populations and has some of the highest salmonid smolt returns of any coastal stream in Oregon. 3. Even after a rainstorm, the Chetco river boasts some of the clearest river water you can find. In fact, its water quality was found to be an Outstanding Remarkable Value based on its striking color, clarity and ability to clear quickly following storm events. 4. Boating during low water conditions has become increasingly popular in the summer months along with fishing, four-wheel driving, swimming, camping, sightseeing and picnicking. Permits are required year-round but are free and self-issued. 5. 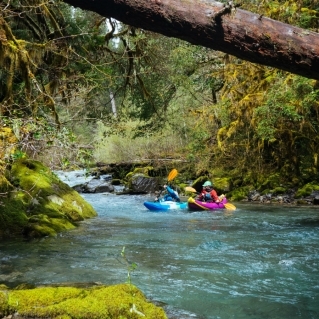 Recommended for experienced paddlers only, winter on the Chetco offers a rugged backcountry experience. After a committed 10-mile hike in, kayakers will find a series of class IV-IV+ rapids in a tight gorge from Slide Creek to Taggart’s Bar. 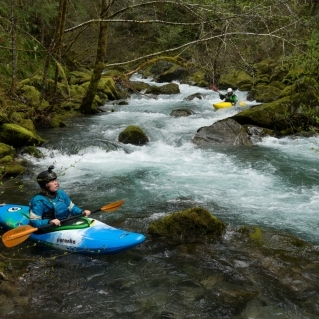 From there to the common takeout just past Mislatnah Creek, paddlers will face fun class II-III with just enough challenging Class IVs to keep it interesting. 1. The Middle Fork of the Hood flows along the 7,000-year-old Parkdale Lava Beds, which is an excellent example of an A’a (pronounced “ah ah”) type of lava flow. Rough, jagged and cindery surfaces distinguish A’a lava flows and high-quality flows of this nature are rare for the region. 2. The lava flow is easily accessible and offers a glimpse of some of the volcanic forces that helped form the Cascade Mountain Range. On top of that, the diversity of vegetation throughout the lava flow provides a unique display of natural processes in action in one location. Not surprisingly, the MF of the Hood River’s ORVs include its unique geology. 3. There are currently no outfitter guide permits on record for the Middle Fork Hood River. Kayaking is possible, however, the 5.6-mile run has a continuous nature, numerous logs, blind corners and a constantly changing riverbed. Confident boat scouting, scrambling and portaging are required. Highly skilled paddlers can put in below Laurance Lake on the Clear Branch of the Hood and take-out at the Red Hill Bridge. 4. Two miles in, kayakers adept enough to handle the MF Hood will be treated with a double mountain view. On a clear day, the peaks of both Mount Hood and Mount Adams can be seen from the river. 5. The MF Hood River contains high-quality habitat for threatened, endangered, and sensitive fish species including Columbia River bull trout and the Lower Columbia River steelhead trout. It’s also a known corridor for dispersing spotted owls and elk and deer between wintering and calving areas. 1. The North Fork of the Smith is a relatively low-gradient river flowing south from the edge of Chetco Peak in the Klamath Mountains. 28 miles later it merges with the Middle Fork Smith to form the Smith River in California. It’s one of the best-protected river systems in the National System. 2. 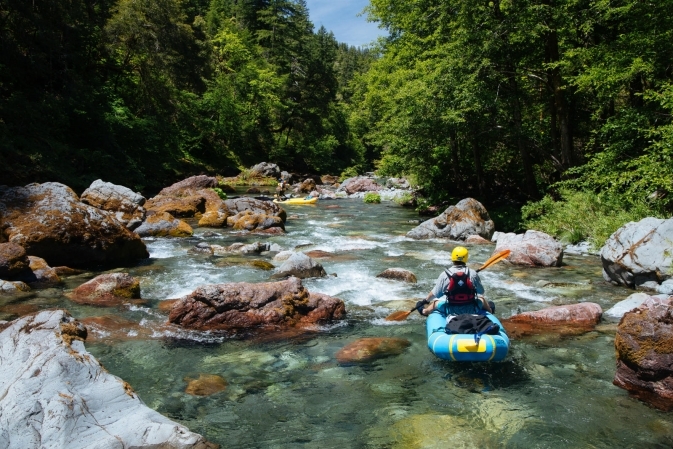 Although boating is more prominent after crossing the California border, kayakers looking for an Indiana Jones-style adventure can paddle the 13-mile wild & scenic stretch in Oregon. Just to get to the put-in, we recommend having access to both a GPS and the Gold Beach Ranger District Map, a car with 4WD and high clearance, and by all means, get an early start. 3. Other recreational opportunities include hiking or horseback riding the North Fork Trail, day hiking the Baldface Trail (no horses), and camping at either the primitive Sourdough Campground or the more developed but still remote North Fork Campground. 4. Of all the Smith River’s tributaries, the North Fork has the most water clarity and provides uncontaminated drinking water to most of Del Norte County, California as well as other communities along the Middle Fork. It’s also known for its seven miles of near-pristine steelhead habitat. 5. The headwaters of the NF flow through a dense rainforest with Douglas Fir, tanoak, and madrone, which is recognizable by its reddish-orange berries (edible but bland) and peeling bark. Near the Oregon-California border the geology changes to ultramafic rock and the vegetation changes to Port Orford cedar, incense cedar, Jeffrey pine, and western white pine. Editor’s Note: All photos courtesy of Zach Collier.